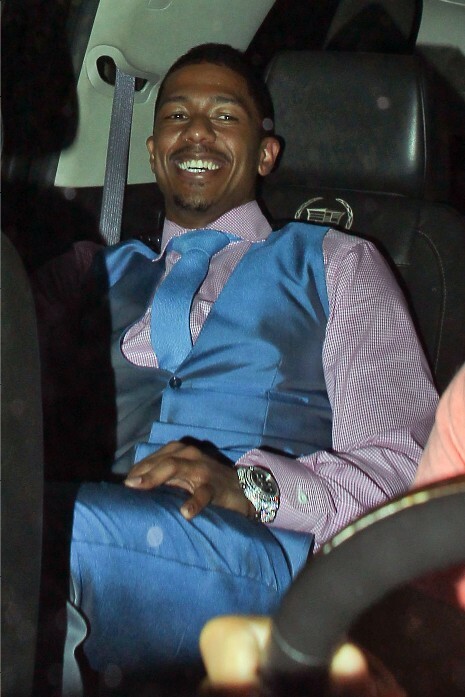 Nick Cannon is playing it cool but he didn’t fool the paparazzi. He arrived solo at Matsuhisa and joined former American Idol judgeRandy Jackson and this attractive blonde. Randy left early and Nick stayed inside for another hour with the young woman. After dinner, Nick slipped out the private exit into a car, and a few minutes later, the mystery girl was picked up by two guys who looked like friends of Nick. Hmmm.